Digital literacy coaches are paid from Idaho Department of Labor Workforce Investment Act funds and a federal Broadband Technology Opportunities Program grant received by the Idaho Commission for Libraries. The digital literacy coach program is open to high school graduates and college students from low-income families. In addition to earning the minimum wage, students learn workplace skills like punctuality, initiative and strategies for developing good relationships with coworkers. Aberdeen area residents go online at their library to do homework and connect with family and friends. Levi Burklund was one of the digital learning coaches in 2011. Like many in his generation, he started learning computer-keyboarding skills in elementary school. He earned his GED last year so his job in Caldwell helped him save tuition for college. Joslin is encouraging local libraries to host a digital literacy coach because of the benefits they receive, especially in small communities where the libraries have a single librarian trying to serve patrons who rely on the library as the community’s central cultural and educational resource. 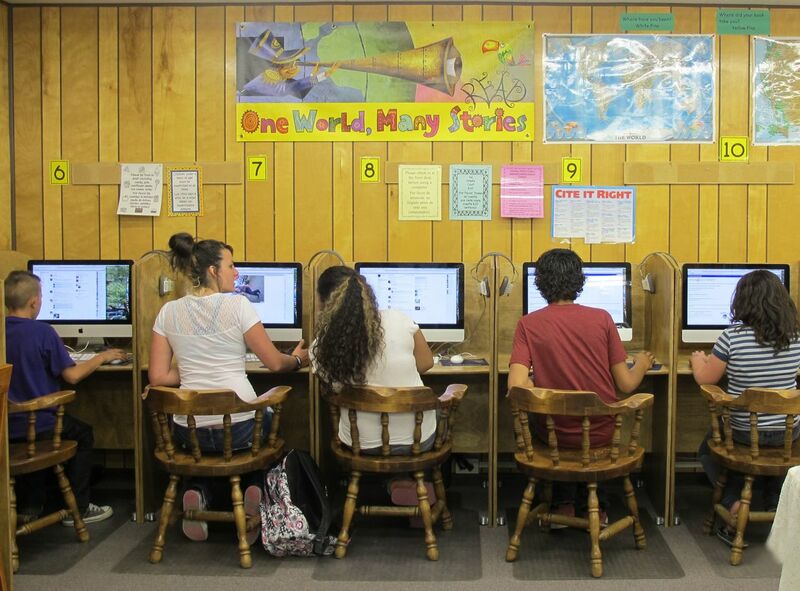 Over 70 percent of Idaho’s public libraries serve as the only free source of Internet access in their communities. 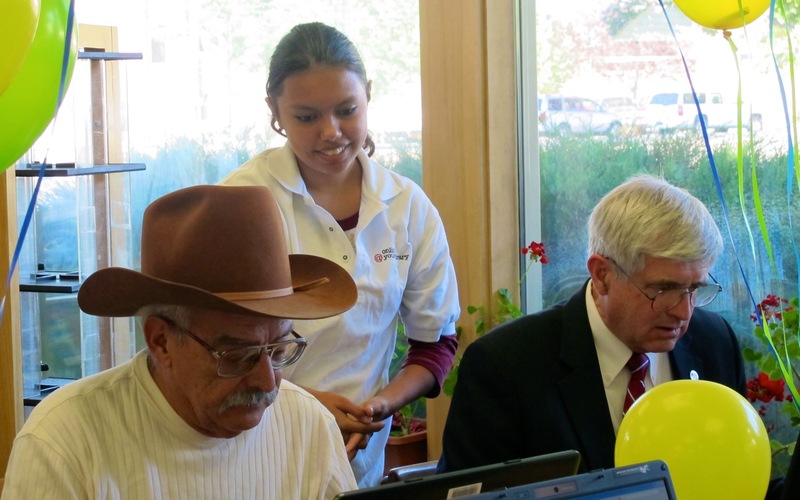 Fifty-five of Idaho’s least connected libraries are participating in the Idaho Commission for Libraries’ two-year “online @ your library” project, which includes computer upgrades, faster access to the Internet and online resources, free access to job skills training and adult basic education and informal learning resources for children. Other programs funded through Labor’s partnership with the libraries include workshops to introduce Idaho’s librarians to Labor’s job search services, the development of an online job search workbook and a series of video tips on how to look for work. The online module, “Maximize Your Job Search,” is accessible from the department’s website at labor.idaho.gov/job search and on public access computers in libraries across the state. • School Support – Tutoring support, leadership development or earning a GED, targeted for at-risk, low-income, out-of-school young people 16 to 21. Funds are limited, and eligibility restrictions apply. • Job Search Assistance – Students can search job listings, create an online profile or upload a résumé searchable by Idaho employers. • Idaho Career Information System – Career information, skills tests, education and training opportunities and career portfolios at labor.idaho.gov/CareerInfo. • Work Experience – At-risk, low-income, out-of-school youth 16 to 21 can work in a city library, out on the range, in a national forest or as an intern for an Idaho company. Eligibility restrictions apply. Dozens of Idaho employers, schools and other sponsors also offer apprenticeships or on-the-job training programs. • Volunteer Opportunities – Students can open doors, give back to the community, gain some work experience and maybe even earn some money by joining an AmeriCorps program or volunteering with Serve Idaho. • Career Fairs – Labor’s local offices support career fairs held by schools throughout the state. Check the calendar at labor.idaho.gov or contact the nearest of 25 local offices to see if one is planned. Students interested in summer employment opportunities or serving as a digital literacy coach should contact their local Idaho Department of Labor Workforce Investment Act youth coordinator. A directory of local offices can be found on the upper right hand corner of Labor’s website at labor.idaho.gov. Librarians interested in hosting a digital literacy coach should contact the Idaho Commission for Libraries at (208) 334-2150. 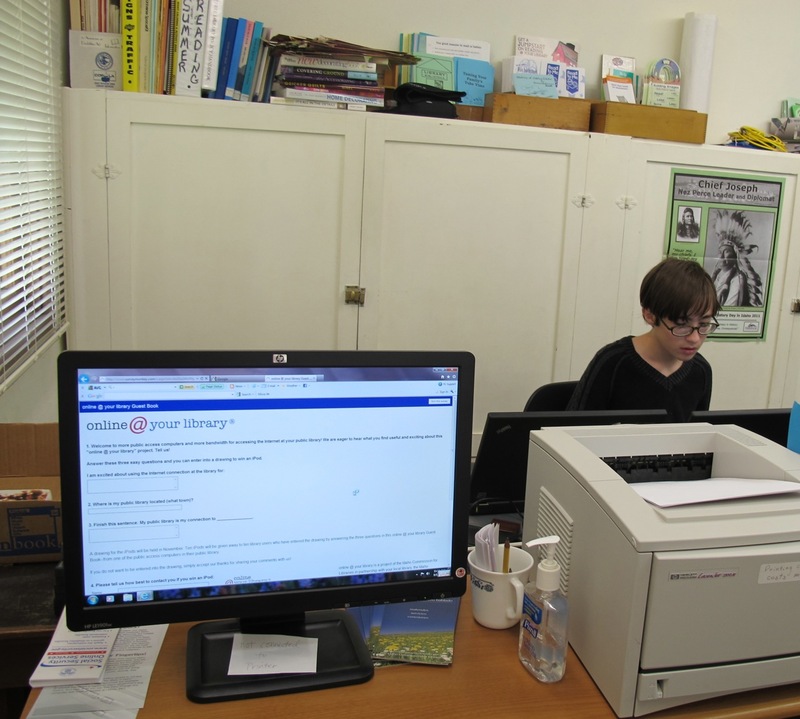 Oakley District Library is Joshua Pecchia's connection to games and homework help.